Some may be familiar with the Plessey v. Ferguson Supreme Court decision that made “segregation” of races legal under the assertion of providing “separate but equal” accommodation of the races. Some may also know about the 1954 Brown v. Board of Education Supreme Court decision making segregation illegal in public schools. Between these two cases was another important but lesser known Supreme Court case: “Berea College v. Kentucky”. Berea College was originally founded in the state of Kentucky in1855 by abolitionist, Reverend John G. Fee, as a private Christian college who accepted both black and white students. Fee envisioned having an anti-slavery and interracial community which would include, a church, and school. His dream was for the school to be an advocate of equality and excellence in education for men and women of all races. Fee was gifted a 10-acre homestead on which he established the church with 13 members and the school on a ridge they named “Berea” after the biblical town whose populace was open-minded and receptive to the gospel (Acts 17:10). They school had an interracial faculty and the community around it was interracial. John Fee, intentionally distributed plots of land in ways that insured that there was mix of both black and white families living in close proximity to each other. 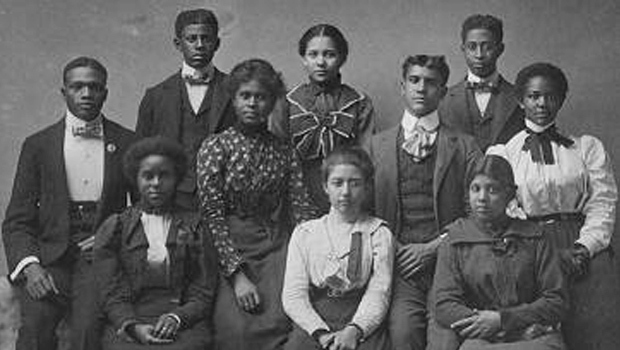 Berea was the only college in the state of Kentucky at the time that educated both races together. In 1859, due to “pro-slavery” opposition and the start of the Civil War, work on the college was abandoned and its workers were forced out of the state. Fee spent the Civil War years raising funds for the school. After the war ended, in 1865, he and his followers returned and resumed work on building the interracial college and community. 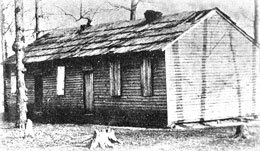 Many of Berea’s students and settlers were escaped slaves, former slaves and freedmen who migrated there after the Civil War. For several decades following the Civil War, Berea’s student body continued to be divided equally between white and black students. Things would change dramatically, when in 1904, the Kentucky legislature passed the “Day Law”, which made it illegal for African American and White students to be educated at the same school or in schools that were located less than 25 miles apart. Proponents of the law sited concerns regarding violence and inter-racial marriage as reasons for separation of the races. With Berea College being the only integrated educational institution in Kentucky, it was obviously the target of the Day Law. Berea appealed its case to the United States Supreme Court but lost. The Court upheld the law requiring segregation of the school as constitutional and it remained in effect until it was amended by the legislature in 1950. When the U.S. Supreme Court ruled against them in 1904, Berea set aside funds to assist in the establishment of Lincoln Institute, a school located near Louisville, for black students. When the Day Law was amended in 1950 to again allow integration, Berea was the first college in Kentucky to reopen its doors to black students. Almost 50 years after it resolved Berea, The Supreme Court made segregation of public school illegal with Brown vs. Board of Education Supreme Court case. Berea College is still educating students today. It provides free tuition to all students.